Just Coco Basalay Facial Mask to draw out impurities and clear acne prone skin. This unique product is made from hand harvested volcanic sulfur powder, French green clay and Moroccan clay to draw impurities out of skin. It is great for sensitive or acne-prone skin and leaves your face feeling smooth and refreshed. 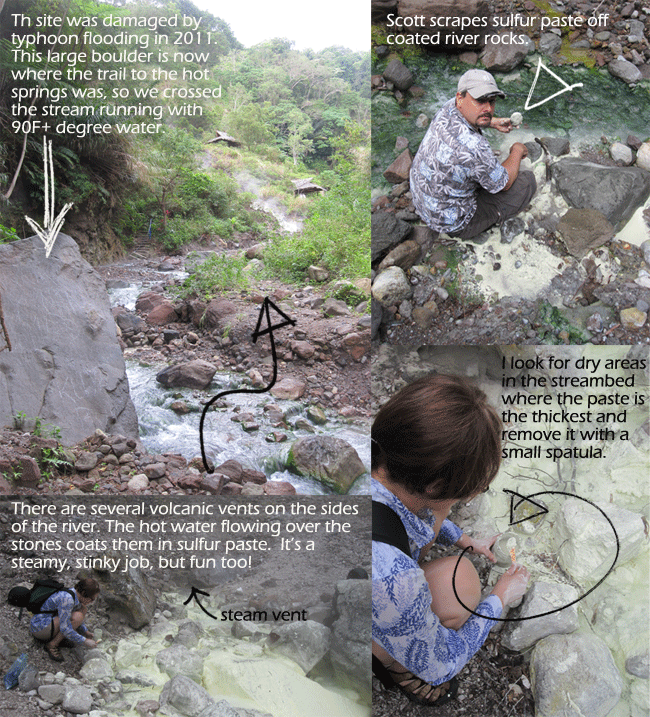 Volcanic sulfur vents at Basalay Hot Springs on Negros Island in the Philippines are the source of the key ingredient in Just Coco's Facial Mask. USE: There are several ways to enjoy your mask. Measure a 1/2 teaspoon of the powdered mask and mix it with water to form a paste. You can also mix it with milk, yogurt or honey. Lightly pat on a thin layer over face, neck or other acne prone skin and allow to dry. Remove with a warm damp cloth and splash face with water. Towel pat dry. Follow with Just Coco virgin coconut body oil of your choice to moisturize. We recommend Tea Tree Essentials, Lavender Essentials, Skin Balance or Revive Body Oils. Apply up to 3 times a week times a week. Can also be applied as a spot treatment directly to pimples. Intended for topical use only on skin.